Good Charlotte are making a comeback. The 'Lifestyles of the Rich & Famous' hitmakers - who have been on hiatus since 2011 - announced on Twitter yesterday (03.11.15) that they have got back together, prompting the hashtag #WelcomeBackGC to trend worldwide. And the group also teased a new song, 'Makeshift Love' on website Alternative Press, marking their first new music since 2010 album 'Cardiology'. 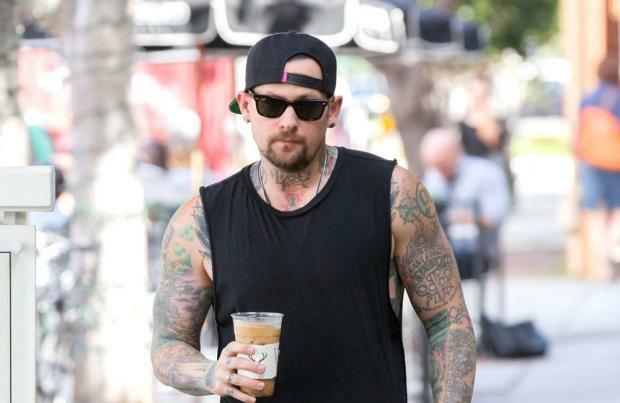 Speaking about the decision to reform, Benji Madden admitted he and his bandmates - bassist Paul Thomas, guitarist and keyboardist Billy Martin, and drummer Dean Butterworth - agreed with his twin brother, frontman Joel Madden, to wait until they "genuinely" had something to say. He told Spill magazine: "Good Charlotte was incredibly special to us. Five years ago, we shut down the website, the merch store, the entire band ... That was our way of taking it back and making it ours again. "We all decided we would wait until we felt genuine about saying something to the world again. "Joel wasn't feeling like he could come back until he meant it, and we all agreed, we couldn't do anything our hearts were not in." The group released five albums before going on hiatus. Last year, Joel and Benji released an album, 'Greetings from California', as The Madden Brothers.